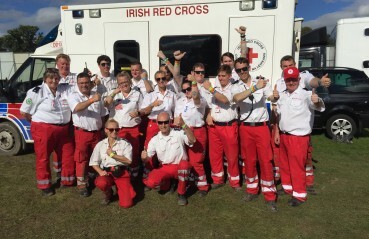 The Irish Red Cross are delighted to be covering Electric Picnic again this year. With days left before the gates of the Stradbally Estate swing open to welcome Picnicers for the 13th successive year, we are delighted to be covering the Electric Picnic 2017. With close to 300 shifts to cover, our volunteers will be have a busy weekend. 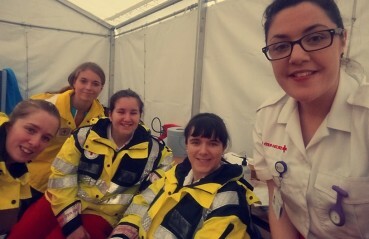 Along side Code Blue, our 150 Red Cross volunteers will provide 24/7 medical cover for the full duration of the event. First aid posts will be dotted through out the venue. At previous events long commuting distances have excluded volunteers from attending and we are delighted to announce that we have secured a local GAA hall near Stradbally for the duration of the event. This is a great development on previous years. While it's not exactly 5 star accommodation, it's somewhere indoors, dry and quiet to sleep, with real toilets and showers! If any time during the festival you require help, please don't hesitate to talk to our volunteers.